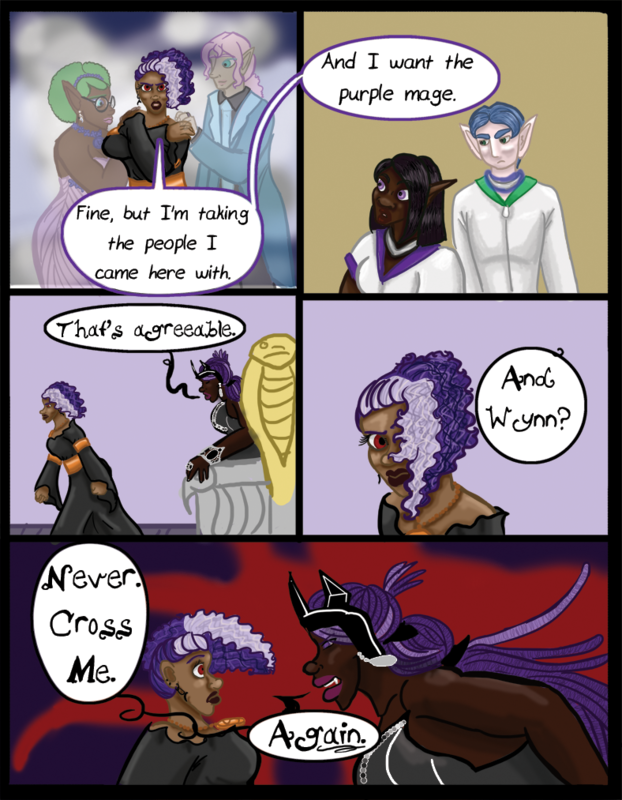 Chapter 05- Queen Nazmah - "Chapter 5 Page 21"
Wynn: Fine, but I’m taking the people I came here with. And I want the purple mage. Queen Nazmah: Never. Cross me. Again. Wynn, you should maybe cut back on mouthing off to being of unimaginable power.